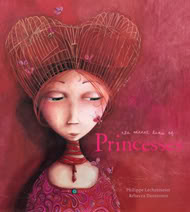 I always liked the name Princess Saralinda, from the 13 Clocks--two ordinary names that become magical when combined. 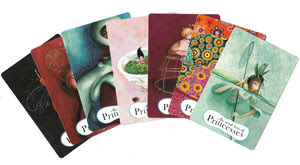 My favorite princess is the one from The Princess and The Pea! I love Princess Ariel but I could totally go for the name: Princess Peach from Nintendo and my dog's name. I like Aurora in Sleeping Beauty. Her name is so different. I have always loved Cinderella. I remember reading my Golden book about her over and over when I was a kid. I have always thought that Princess Caroline of Monaco was my idea of what a real life princess should look like. I've always loved Sleeping Beauty as Princess Aurora! A suggestion for a princess name might be Princess Penelope. I have so many favorites. My most recent fav would be Princess Tiana from Princess and The Frog. I don't have an unusual Princess name except Princess Isabella, what we call the little girl who I care for daily, but I've always loved Princess Aurora from Sleeping Beauty. Thanks for hosting a great literature giveaway! My favorite princess is Princess Fiona from the Shrek movie! Cinderella, Cinderella, the fairest of them all! Belle was always my favorite of the Disney princesses. I mean, a princess who love books? Too perfect.